Did you see President Nicole Gulatz on Fox 6? Click here to see her promoting our upcoming Brew City Bash! 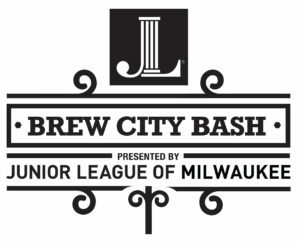 The Junior League of Milwaukee (JLM) is proud to announce its third annual spring fundraiser, the Brew City Bash. Since 1915, the JLM has been investing in the children and women of Milwaukee through providing volunteers and funding to local non-profit organizations. Guests are invited for an evening of tasting local brews, beverages and bites from local Wisconsin brands. Proceeds from ticket and auction sales will go directly towards sustaining the work the JLM does in the Milwaukee community year-over-year. Tickets NOW Available for Purchase. This event has sold out in previous years. Buy now to ensure your spot.